New name, new venue, same great vibes – our monthly Sunday session is happening again this weekend! Music from The Gonzo, Stew Bamrah and Shellsuit. 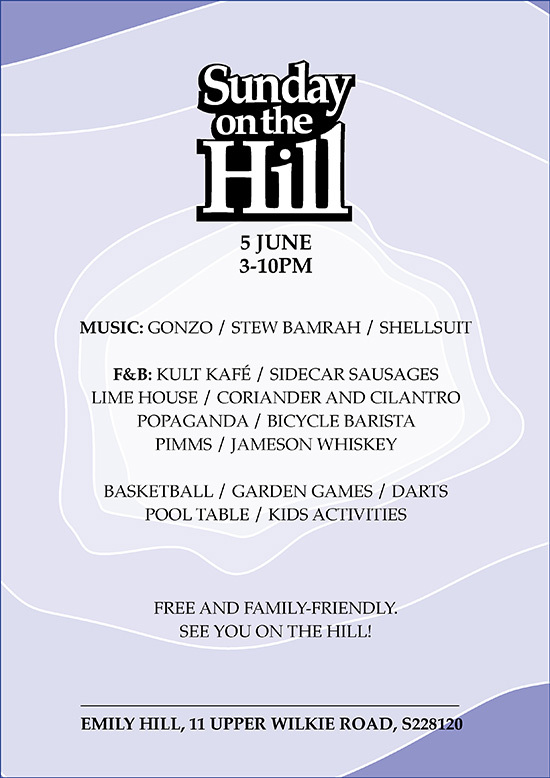 F&B by kult kafe,Sidecar Sausages, Lime House, Coriander and Cilantro, Bicycle Barista SG, Pimms, Jameson Whiskey and more. Garden games, fun stuff for kids, basketball and a few new additions – stay tuned for details. Free entry and kid and dog-friendly event. No outside food and drinks please! We rely on your support to keep the party rolling. For faster service bring cash, or download the e-wallet app WAAVE to your phone – it’s the quickest and easiest way to beat the queue.